Hawks and owls are familiar sights in College Hill, but these two guys look like a new breed of visitor. 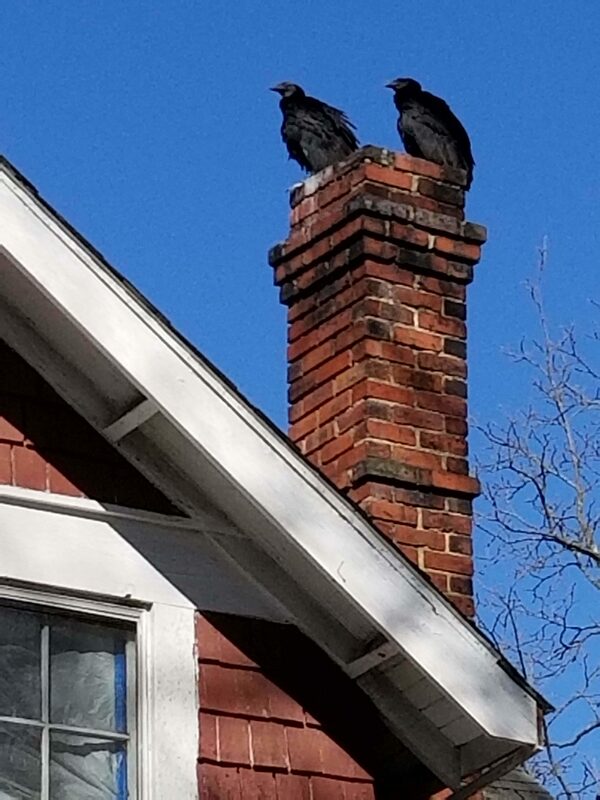 The black vultures — or possibly some kind of buzzard, if there’s actually any difference between them — were perched atop a chimney in the 300 block of Tate Street on Monday. For those seeking a symbolic or spiritual meaning in their presence, there’s a wide variety to choose from — cleansing and transformation, the protection of the goddess Isis, a sign to be patient with ourselves and think things through, or — a more traditionally American sentiment — God’s judgment of shame. This entry was posted in Animals, Tate Street and tagged vultures, wildlife. Bookmark the permalink.